This 12-night southern Caribbean cruise was on Royal Caribbean's Anthem of the Seas, a Quantum-class ship. See also our earlier Eastern and Western Caribbean cruise articles on Royal Caribbean’s Oasis of the Seas (including one where we dodged hurricane Irma) and Allure of the Seas. Those articles have a lot of detail, including sections of special interest to first-time cruisers. The Internet service on Anthem on this cruise was far more reliable than on our previous cruises on Oasis and Allure. Overloaded service was much less frequent. More than one device can be used, but only one at a time. To change devices, browse to logout.com. On the other device, make sure it is in airplane mode with wifi turned on. Connect to royal-wifi and browse to logon.com. You may have to enter the activation code again. I emailed the access code to myself so I would have ready access to it and could easily copy/paste it. Ship laundry service is costly. Is there a good solution? Washing clothes in the tiny cabin sink is not ideal. I work out early every morning in the ship's (amazing) fitness center. Not wanting to pack workout clothes for 12 days, I searched the Web for a better solution. 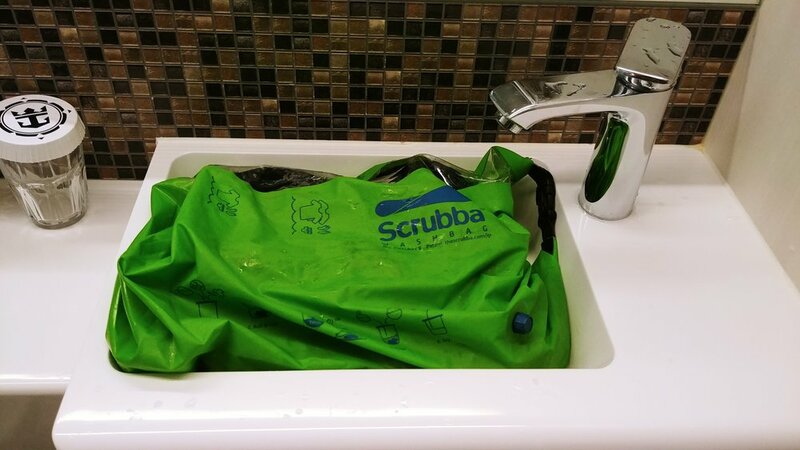 The Scrubba travel wash bag appears to be the best choice. I was concerned about user reports that the bag leaks. Then I found that those reports were for the original version that had a squeeze valve. Scrubba replaced that with a twist valve. So this product is the one I decided to get. Scrubba sent a sample for review. 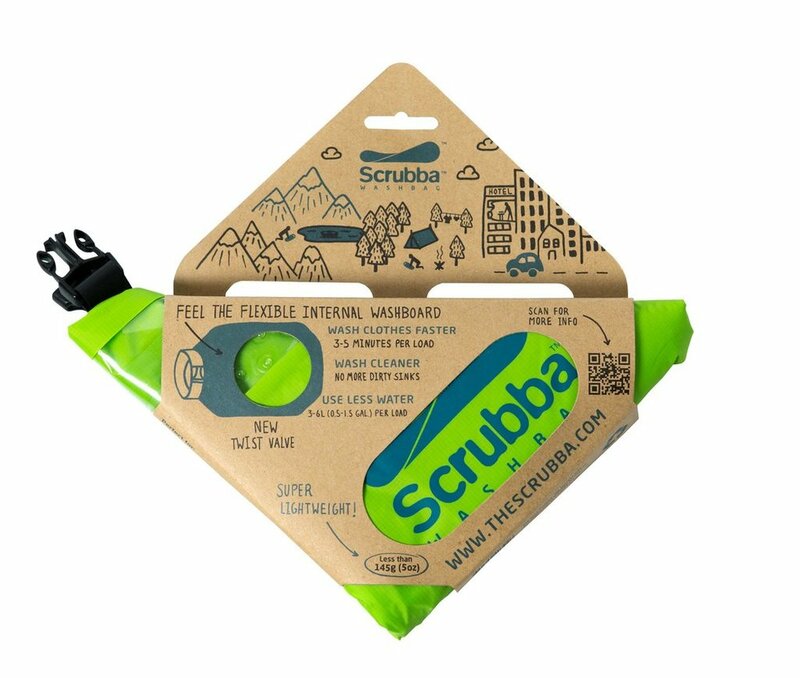 Scrubba construction appears to be good quality, sturdy, and compact (as expected for a travel product). I've only used it for this cruise, so I cannot yet comment on its long term use. The built-in flexible washboard provides agitation cleaning action, just like the old washboard my grandmother used. There is even a polyurethane window to provide a view of the clothes being washed. The instructions are simple and are printed clearly on the packaging and on the product itself. When we washed three adult t-shirts, we think that provided a good indicator for the volume of clothes that can be washed at one time. The process was simple and effective. The washed clothes ended up smelling as fresh as if they had come out of our home washer. We had no leaks at all in our testing. We found it best to put in half the water first, then soap, then clothes, then the rest of the water. Be especially careful when dumping the water after a wash. A bag with water is not particularly stable and the cruise ship's bathroom sink is very tiny. Too much water poured into the sink too fast will swamp the sink. After washing some clothes we rolled them in towels that we checked out from the pool. We twisted the towel to wring the water out of the clothes into the towel. Hanging clothes to dry on the deck chairs is a Royal Caribbean no-no. We know. We ended up with some lady's underwear on our deck. Instead, after getting most of the water out with the towels, we put them on hangers and hung them from suction hooks on the bathroom door. This is not a solution for large clothing items, but we already had a fair expectation about that and packed accordingly. The quality of wash we enjoyed with the Scrubba completely met our hopes and expectations. We want to go on several more cruises…to further test further the Scrubba, of course.